I was going to call this blog post Winter Hike, but it was 70 degrees this past Sunday when we went on this hike and it didn’t feel like winter to me. My son was visiting from the Chicago area and it felt even warmer to him. I took my camera with my Lensbaby Sweet 50 lens. 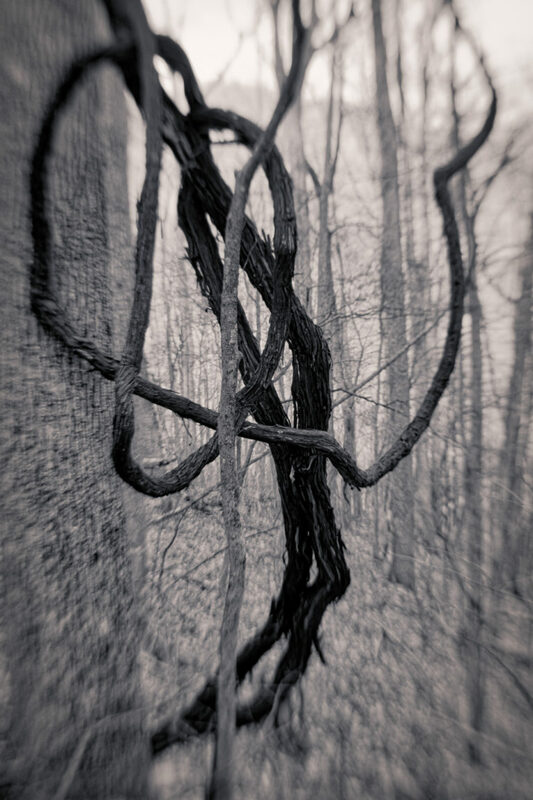 This lens helps to simplify the bare branch tangle of the winter forest. I also knew that I wouldn’t have much time to take photos since we were more into getting exercise than taking photos. The first photo looks like a stick nature spirit to me. I like the rough texture of the vine. 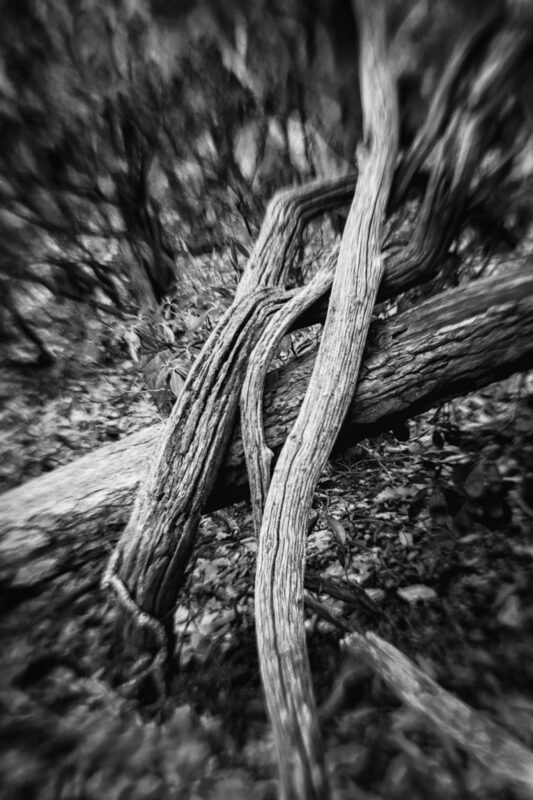 The photo below shows the relationship of some fallen trees. The black and white again highlights the textures of the trees. 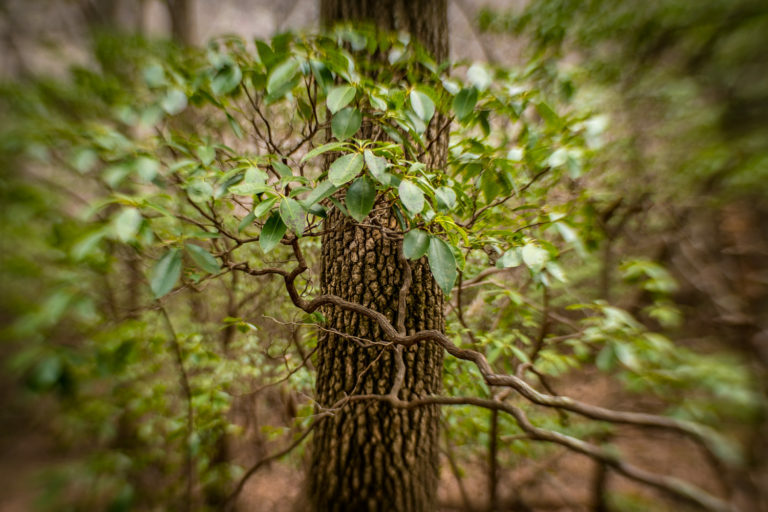 The blurred rhododendrons in the background seem to be dancing around the downed trees. The final photo of the day shows the green leaves and the promise that the forest is still alive. Texture again is an element of this photo.